Cannabis use has reached an all-time high and it is now more readily available than ever before. With cannabis being recreationally legal in several states users are coming up with tons of different creative ways to get the substance into their bodies. Some are making homemade smoking devices while others are sticking with their old blunts and joints. However, over the last couple of years, the method of consumption that has really taken off is vaping. 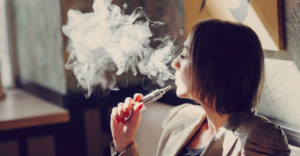 Vaping is unique because it involves the heating of the cannabis and the related chemicals into a fine vapor without using the combustion process. It is supposed to be much healthier because the user doesn’t inhale the burnt plant matter. So, if you are new to vaping here is what you need to know. The biggest misconception with vaping cannabis is that there is only one way to vape. That is not the case at all. There are a number of different vaporizer manufacturers available and each one likes to put their own unique spin on their devices. While there are tons of manufacturers available, there are three main different styles of devices available. Below, you will learn about these three different machines. The tabletop vaporizer is also known as a stationary vaporizer because it will be used with the home. It is not portable. It is more like a plugin appliance and these models tend to be more expensive, but they are technologically superior to their counterparts. Spending a few hundred dollars on one of these machines might seem like a splurge, but these machines offer precision and ultimate control over the overall temperature. This is important because different cannabinoids and terpenes require different temperatures to vaporize correctly. For instance, if you are looking to get the pain killing effect of a certain strain of cannabis you might have to vape it at a certain temperature. If you are looking to get the anxiety benefit of the strain you might have to vape at a different temperature. The best tabletop models will deliver the best flavors and an all-around more pleasant experience. The dry herb vaporizers are more on the portable side. They are handheld units that can easily be concealed and carried around. They are extremely easy to use and come in a wide variety of designs. Some will offer different features and pricing options, but they all generally function in the same manner. They heat the bud up and release a vapor without carbonization. The problem with most of these models is they don’t offer much in terms of temperature control. This is unless, of course, you are dealing with a very high-end model. To get a review of some of the best vaporizers available on the market you can visit vaporisateur de table. Cartridge and oil vaporizers are without a doubt probably the most popular style available. These models are sometimes referred to as pen vaporizers. They are also extremely small and very discreet. These are the perfect devices for anyone on the go that wants to sneak in a quick smoke during the day. These devices are battery powered like the dry herb vaporizers and can provide the user with extremely strong effects. Most users have stated that when they smoke concentrates will these pen vaporizers it is more like dabbing than smoking actual herb. Of course, the effects are going to vary depending on the cartridges and the quality of the oil. You can see that there are three distinct models available, but which one is right for you? Deciding between the flower and concentrates can be a daunting decision and it really comes down to your own personal needs. You really must first decide on the material that you want to vape. Do you want to vape dry herb? Do you want to vape oils? Maybe you want to vape with cartridges. There are a lot of differences between all three materials. Many cannabis oils offer organic and solvent-free strains while others might have extra chemicals to make them function better. Once you know what material you want to consume, you have to think about how you are going to use the machine. Are you using it purely for health reasons? Are you using it in the home or do you want to be able to use it on the go? These are all questions that need to weighed and thought out. The post The Beginner’s Guide To Vaping Cannabis appeared first on Smoking With Style.